Amber Lewis is an interior designer to know. In case you missed her empowering episode of Second Life, Lewis got her start as an assistant at an interior design firm and eventually pursued her passion by means of a blog that she turned into a thriving business. Now, she has devoted clients and followers from around the world. Here at MyDomaine headquarters, we've long been inspired by her eye for design and the stunning projects she completes. When we found out she was launching yet another blog to share beautiful content, we immediately took note. The new site dubbed All Sorts Of is meant to be a bigger and better version of her original blog Amber Interiors. 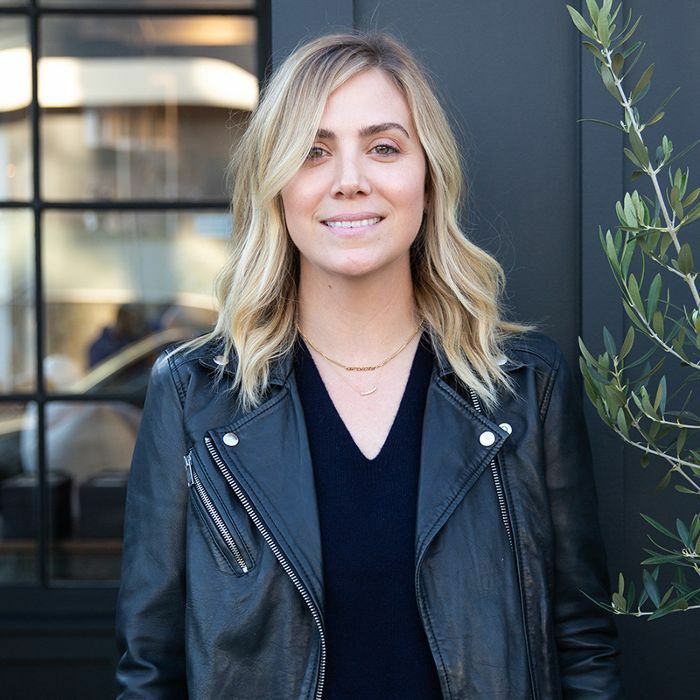 Along with her traditional interior design content, she'll be dipping into broader topics from entertaining, recipes, health, and wellness to city guides, community, and interviews with other entrepreneurs and designers like herself. "My goal and intention with All Sorts Of is to give my audience the best possible resource for all things design and lifestyle," Lewis tells MyDomaine. "I want people to come to this site because they know they can find something that inspires them, learn a thing or two, and be entertained," she continues. To get an idea of what you'll find on All Sorts Of, keep scrolling for a look at Lewis's latest project reveal. She recently renovated the Los Angeles home of Emily Current, one of the co-founders behind clothing line The Great. Take a look at the finished home below and head to All Sorts Of to see what the space looked like before Lewis got to work.